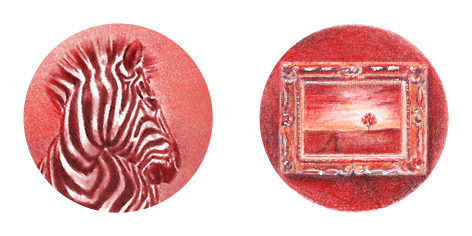 For the Investec Cape Town Art Fair 2019, taking place from 15 to 17 February, Investec has partnered with award-winning South African artist Karyn Wiggill, who specialises in miniature art. 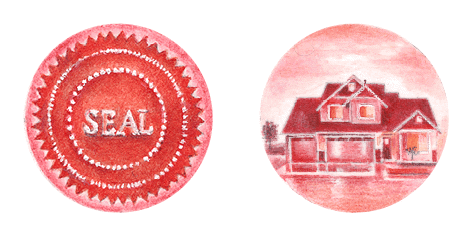 She has created a collection of tiny drawings that fit into a little red dot. While her art might be small in size, it carries weight and depth, and is predicted to be an exciting point of interest at this year’s art fair. These 52 miniature artworks will be on display on the Investec wall at the walkabout meeting point, for all visitors to take a closer look, using a magnifying glass and Investec’s go-to guide on the art of buying art. The complexity of all Wiggill’s pieces is astounding. Each miniature represents a fact about the art world, and has been created on 300g hot-pressed acid-free paper, a smooth material conducive to fine drawings and paintings, and watercolour pencils. It would be impossible to use the pencils directly, as they cannot be sharpened to Wiggill’s requirements. The use of a 00000 paint brush with the watercolour mix allows Wiggill to have perfect control over the process, instead of pure watercolour. While Wiggill produces larger works, she spends most of her time working with finely detailed miniatures. The artist explains that miniature painting is not a small painting, but a process of capturing all the details and being able to see the tiny brushstrokes. Johannesburg-based Wiggill has a Bachelor of Social Science degree, she started drawing at an early age. She has no formal art education, largely self-taught. 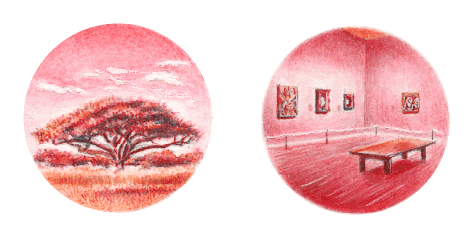 A member of the Miniature Art Society of South Africa (MASSA), the Botanical Artists Association of Southern Africa (BAASA) and Royal Society of Miniature Painters, Sculptors & Engravers, Wiggill has won numerous awards and accreditations locally and internationally, and has had her drawings featured in international publications. For more information, please visit the Investec Cape Town Art Fair website, or follow on Facebook and Instagram.